The labor market is shaky. Across the world many countries still see high unemployment rates in certain areas, including the USA. Due to this, large swathes of the workforce are returning to school to get retrained and gain a competitive advantage in their field. Finding a new job can be daunting even if you are not a veteran returning from an active duty. But if you are one, first thank you for your service to your country and second, with the help of this resource for military veterans transitioning to civilian careers, perhaps it won’t be so intimidating. Below is advice and online resources to help you with starting over in the civilian world. 1. 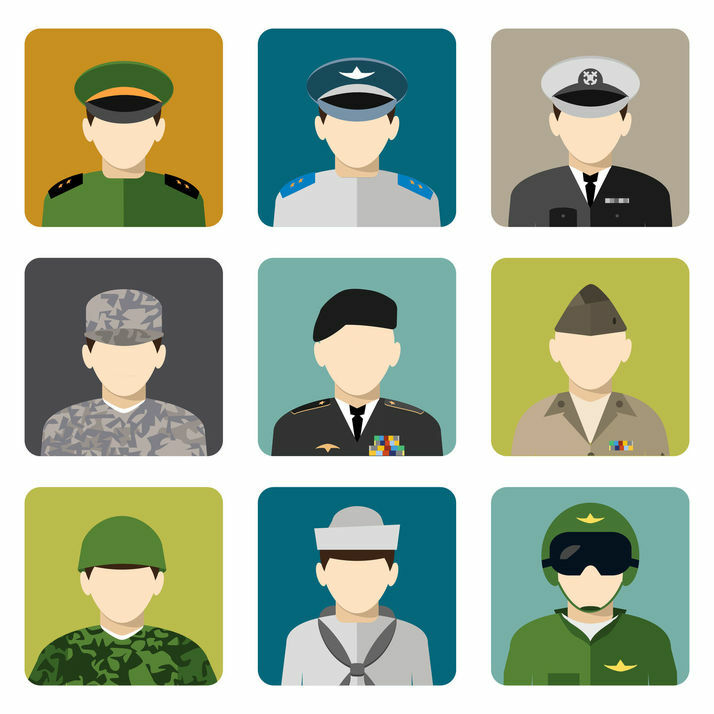 Convert your military credentials and skills for the civilian world. Some countries require military training certifications and licenses to be translated into their civilian equivalents before accepting them in a workplace (such as flying an aircraft, operating heavy machinery or treating patients). Look up whether any of your credentials need some kind of transfer, update or additional education to be valid stateside so you can retake courses or undergo any needed testing before applying for jobs that require them. 2. Set realistic goals and develop a contingency plan. Identify your ideal jobs as well as some jobs you would rather not take but could still tolerate and then apply to all of them. If you do not receive offers for any of the dream jobs, but you are offered a less-than-ideal position, you'll have a backup option. If needed you can accept a less appealing position while looking for a more desirable opportunity. 3. Network, network, network. You have experienced a unique camaraderie in the military; now is the time to reach out to your military networks and let your contacts know that you are looking for a civilian job. Find out how to stand out in your job search. It never hurts to re-connect with people. You might get a referral to an open position with a military-friendly employer or someone could recommend you to a recruiter looking for candidates with a military background. 4. Volunteer or work part-time while searching for a full-time job. Abandoning the military structure and getting re-accustomed to civilian life might be overwhelming, especially after a long service, so using a part-time or temp job as a “bridge” to a full-time job might be the answer. 5. Use social media for help with your job search. There is a list of useful social media sites at the bottom of this article. But also be mindful of your own social media presence – update your LinkedIn profile and choose respectable public photos for your Facebook and Twitter. It's also a good idea to adjust your privacy settings to limit access to your personal data. 1. Emphasize your character. Yes, your military training, certificates, and skills are an important part of your resume, but what likely transfers best to the most civilian jobs is your character. You can emphasize the character you developed by writing about situations in which you were flexible, demonstrated leadership, took initiative, and acted for the benefit of the team. 2. List the civilian counterparts for the military positions you held. There is an online tool to help you convert your military job title to a civilian occupation – MOS Code to Civilian Occupations Translator. It's important to be able to explain to a non-military person what position/s you’ve held in the military mean. 3. Remove military references. Once you convert your military job title to a corresponding civilian job title, remove all other military jargon such as ranks, titles, equipment names, and school names. 4. List achievements rather than duties. Your resume should not look like an efficiency report, so instead of only listing your responsibilities, describe how you added value to your organization and achieved measurable outcomes. 5. Mention your soft skills. These could include teamwork, cooperation, patience, accountability, self-discipline, and compliance. 6. Highlight leadership and diversity experience. If you are applying to lead or work in a diverse civilian workplace, make sure you include these keywords in your resume. 1. Know what to wear. For someone who had only one outfit to wear during their entire career serving in the military, choosing clothes for a job interview can be a headache. That’s why it is very important to research the dress code at any organization that offers you an interview. If you're transitioning between jobs, consider the use of your employers outplacement services to build your skills needed for that next interview. 2. Understand the employer’s culture and values. During the interview connect what you have learned in the military to the position you're applying for. How does your experience align with the company culture and values? 3. Rehearse, rehearse, rehearse! Use the skills of rehearsing and reconnaissance that you acquired in the military to practice the answers to the most common interview questions multiple times well before the interview. 4. Prepare a few questions to ask the interviewer. Recruiters report that veterans do not ask questions during a job interview even if given the opportunity. Failing to ask questions can create the impression that the candidate is unwilling to learn. 5. Answer situation-based questions by specifically describing your actions. Don’t fall into the trap of answering "scenario" with the typical military “bottom line up front” method. VelvetJobs - Create your own profile and get found. Jobs are filtered by industry, including military. Veterans Employment Toolkit – a website of the Department of Veterans Affairs offering a range of information about resume writing, the interview process and job placement programs aimed at military hiring. Hiring Our Heroes – an initiative to assist veterans aimed at accelerating their job placements. Hiring Fairs – lists upcoming job fairs. Managing Your Expectations at a Job Fair – a checklist of what to do before, during and after a job fair event. Bonds of Courage – offers post-service employment support such as interview preparation, skills translation, as well as networking advice and support. Feds Hire Vets – provides information about employment to Federal positions to veterans and their families transitioning from military to civilian life. Find a Job – a service offered by the U.S. Department of Labor’s website for veterans to search for job postings as well job training. G.I. Jobs – a website on a mission to simplify the military transition experience through assisting veterans with employment, education, and entrepreneurship. Student Veterans – is a coalition of student veterans groups on college campuses across the USA with a mission to provide support, advocacy and networking opportunities to veterans who are furthering their education to obtain employment. Military Officers Association of America – organizes career, educational and networking events where veterans can meet with hiring managers, industry professionals, and executives. The Women In Military Service For America Memorial – this is the only USA memorial honoring servicewoman. By registering in the database on this website, you can access names, photos and contact details of servicewoman so you can locate ex-colleagues and reconnect with old female veteran friends. Real Warriors – offers a list of programs and resources available to wounded veterans. Know Your Rights Returning Service Members with Disabilities – a publication explaining the rights under Americans with Disabilities Act (ADA) and providing directions of where to get assistance. 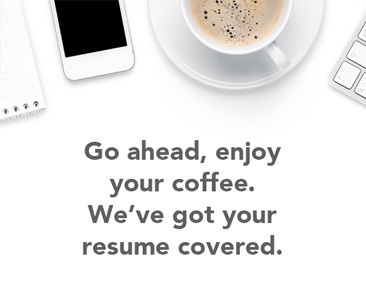 Job Accommodation Network – if you have a question about workplace accommodations or ADA and other related legislation, this is your go-to website. Vocational Rehabilitation and Employment – a program of the U.S. Department of Veterans Affairs that assists injured veterans to prepare for, find and sustain suitable jobs. Warriors to Work – a veteran employment program providing career services to wounded soldiers interested in transitioning to the civilian workforce. 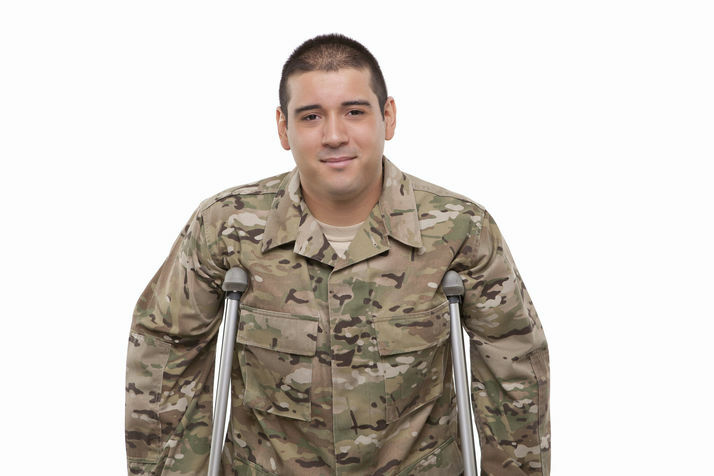 Wounded Warriors Careers – a program of the National Organization on Disability aiming to help veterans with severe service-related disabilities to find a meaningful civilian career. Hiring Our Heroes – on LinkedIn contains around 30,000 members and promotes matching veteran talent with career opportunities in the private sector. Veterans Employment – on LinkedIn is a veteran-owned business that works with companies and other recruiters to place veterans in desired jobs at no costs to the veterans. Veterans in Film & Television – on LinkedIn aims to connect veterans with work and training opportunities within the film and television industry. Get Skills To Work – on LinkedIn is a coalition of manufacturers and educators who help veterans interested in manufacturing careers with training and skills translation. Veteran Employment Opportunities & Resources – on Pinterest is a board that pins useful tips for civilian job seeking veterans. Veterans4usa Jobs Across America – on Facebook is a group posting jobs, career fairs, training opportunities and tools to assist veterans finding a job. As people who have served their country with passion, honor, and dedication, we know veterans have tremendous work ethic, skills, experience and positive attitude to contribute greatly to any employer’s team. With the help of this resource, they can learn to effectively promote themselves in the labor market and successfully obtain their first civilian workplace after returning from their military service.